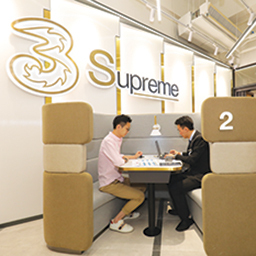 In Hong Kong, HTHKH provides 4G LTE, 3G and GSM dual-band mobile telecommunications services under the 3 brand through Hutchison Telephone Company Limited ("HTCL"), a subsidiary of HTHKH incorporated in Hong Kong. HTHKH mobile business was granted a licence to operate an AMPS cellular radio telephone network in 1984 and commenced the provision of analogue mobile telecommunications services in 1985. We subsequently launched GSM services in 1995 and was the first operator in Hong Kong to launch a 3G service in 2004. 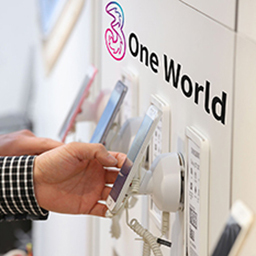 The Group launched 4G LTE service in 2012 and activated a high-definition Voice over LTE facility in 2014 to enhance the overall 4G LTE user experience. 3 Hong Kong launched VoWi-Fi in 2015 to enhance indoor voice call quality and launched 4.5G service in 2016. The construction of an end-to-end NB-IoT network was completed the following year. In 2018, We upgraded the existing network architecture and also completed 5G outdoor network trials in the 3.5 GHz and 28 GHz bands. We were the first to make a live outdoor broadcast via a 5G network in Hong Kong. HTHKH offers a wide range of mobile telecommunications services and products with increasing focus on data-centric services that converge with Internet and PC services. HTHKH provides mobile communications services such as local voice, SMS, MMS, IDD and international roaming, as well as advanced broadband-based data services and applications including direct carrier billing offerings, mobile device security management, eBooks, music downloads, movies-on-demand, mobile social networking applications and FinTech. To find out more or subscribe to 3's services, please visit www.three.com.hk.